Video and music tapes, analogue cameras, minidiscs, dial-up internet access, the ZX Spectrum, mobile phones the size of a small dog... You can really start to feel your age when you think to all the technology that used to be everywhere but has gone the way of the dinosaurs. 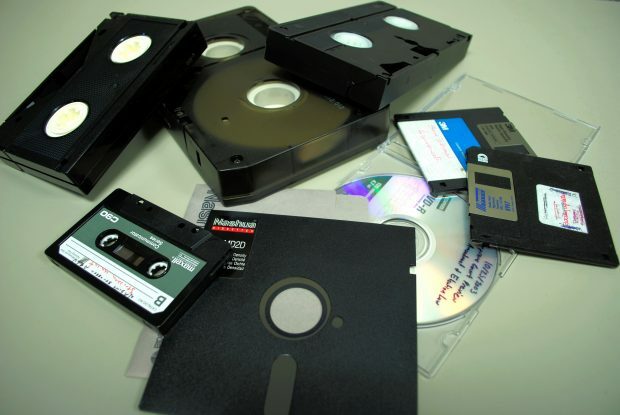 Obsolete media. From Flickr user Wolflawlibrary. Used under Creative Commons licence. The PDF file is something we're similarly used to seeing all the time. It stands for Portable Document Format and was created in the early 1990s to provide a standard way for publishing documents. In the past we've probably published about 90% of all our screening content in PDF format. The remaining 10% would be for odds and ends in other formats like Word or Excel. But like all good things, the era of the PDF is gradually coming to an end. 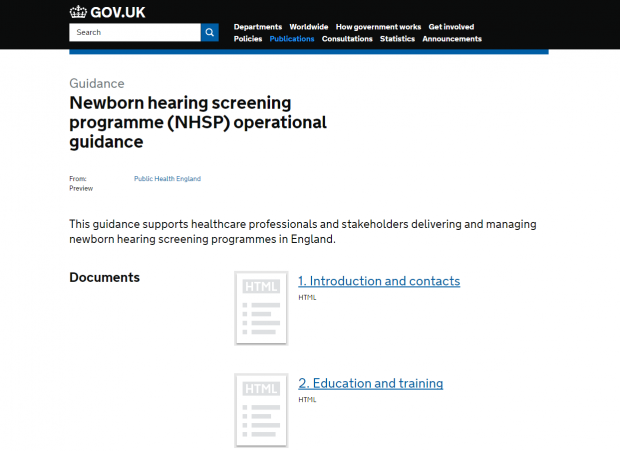 More and more now we're publishing documents on GOV.UK in what's called HTML format. This means the content is directly on the web page rather than in a separate file you need to download from the website and view using other software. The HTML format reflects changes in how we access and use information. In the past most people preferred holding a document in their hands but now we're completely used to reading publications online. The government has a digital by default policy to encourage us not to waste time and money printing things unless we really, really need to. As soon as you print something it could be out of date so it's much better to read the original, online version. HTML helps us publish better content and it's easier and quicker to keep documents up to date. In general, HTML publications are a lot more web-friendly. They have 3 big advantages. They're better for search. You can search all the content more easily than with a PDF file. They're better for mobile. HTML publications work much better on devices with other screen sizes, like tablets and phones, as they automatically resize to fit the screen dimensions while keeping the text big enough to read. They comply with open standards. This means anyone with an up-to-date web browser can view the content without needing any additional software. If someone really does need to print an HTML document, they still can by going to the print option in their web browser (pressing <Ctrl> P usually does this). The document will automatically be formatted for the paper size in your printer. And the really clever thing is that any hyperlinks in the document will be expanded so they're written out in full. Neat, huh? We've published quite a lot in HTML format recently. Here are some examples. 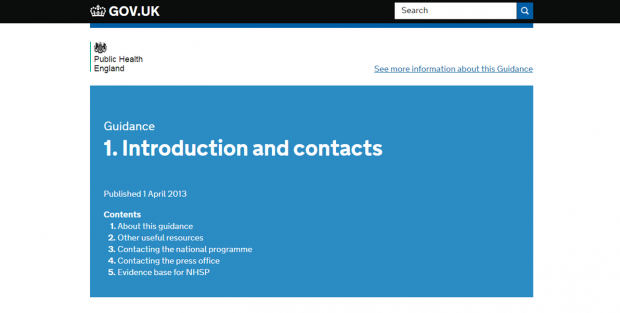 NHSP operational guidance. Each chapter is a separate HTML document. From a publication page on GOV.UK, click on one of the HTML attachments in the list to open the document. You'll see they're really easy to navigate. They have a clear contents section at the top and clicking on one of the headings will take you straight to that part of the document. Opening an HTML document shows you the interactive contents section. A useful tip if you want to search within a document is to press <Ctrl> F to open the search bar in your web browser. Type the text you want to find and press <Enter>. All instances of the text will be highlighted on the web page. We've been won over by HTML publications and we hope you will be too. As ever, please let us know what you think by commenting on this blog, using the "Is there anything wrong with this page?" link at the bottom of a GOV.UK page or contacting the screening helpdesk. We'll pass on any good ideas for making the HTML format better to the nice folks at the Government Digital Service who run the GOV.UK website. Love it love love it! But, when labelling content for the public, would 'Page' be better than 'HTML'? Does everyone need to sorta know what HTML is?? I'm thinking that it can be a gift to avoid non-essential acronyms, especially tech ones.